Probiotics Protect Against Infections. This is How It’s Possible. These little bugs work for you in many ways to protect the homefront (your body) from dangerous invaders. Take care of your little buggie buddies and they’ll take care of you! 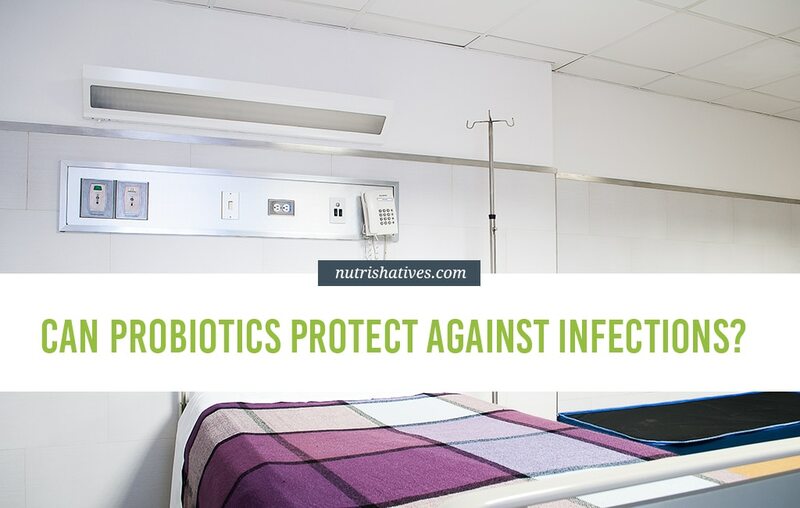 This article discusses the many benefits of good bacteria and how probiotics protect against infections. In an world of ever-growing antibiotic resistance, probiotics offer us new hope in the fight against infectious diseases! If you typically think of probiotics as just being beneficial for gut health, you’re missing a huge part of the microbial picture! Probiotic benefits are absolutely not restricted to the gut. In fact, they extend throughout the entire body! From weight management and protection against cancer to keeping infections at bay, these little bugs really put in some work to keep you healthy. 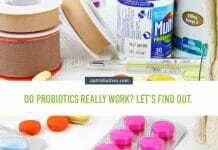 How Do Probiotics Protect Against Infections? 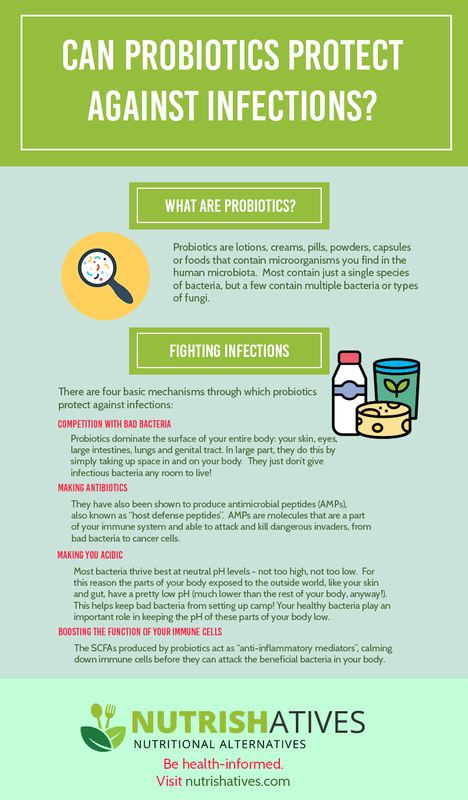 In order to understand how probiotics protect against infections, it’s important to know what probiotics are and how they work in your body. Probiotics are defined as microorganisms that provide benefits to their host, when they are consumed in adequate amounts. Though these kinds of good bacteria are found naturally in your body, they can be depleted because of poor diet, stress, or illness. The good news is you can replenish them using lotions, pills, powders, capsules full of healthy bacteria — i.e. 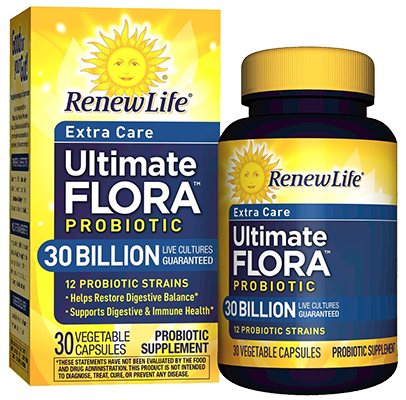 probiotic supplements — restoring the health benefits of these little microorganisms! Among the health benefits restored (or boosted!) by probiotic supplements is a reduced risk of infection. Though scientists know probiotics protect your body against infections, they are only just beginning to work out how. And what they are finding is amazing. Let’s check out the evidence they’ve discovered so far! 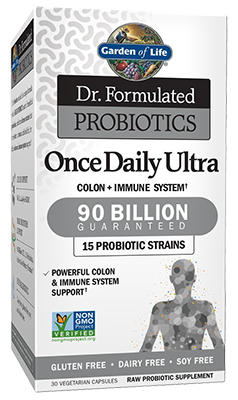 You know all there is to know about how probiotics protect against infections now, right? No? Ok, let’s explore these mechanisms in more detail so you can really understand! The first way probiotics protect against infection is by competing with bad bacteria for space and food in your body. Your body is their turf, and they defend it, making sure the bad guys don’t try to move in and steal their home from them! In large part, they do this by simply taking up space in and on your body. They just don’t give infectious bacteria any room to live! On top of this, though, probiotics also protect against infections by competing with bad bacteria for food, starving them out of town! For example, both good and bad bacteria that like to live in your gut are sugar junkies. Just like you and me, they get their energy from sugar you consume with your food. When your gut is full of good bacteria, they eat up the sugars that pass through your system, leaving little or nothing for the bad bacteria to eat. Without food, the bad bacteria starve and die before they can make you sick! Probiotics are in the crowd control business, but that’s not the only way they keep bad bacteria at bay. They have also been shown to produce antimicrobial peptides (AMPs), also known as “host defense peptides”. AMPs are molecules that are a part of your immune system and able to attack and kill dangerous invaders, from bad bacteria to cancer cells. Your body can make them naturally, but some probiotic bacteria produce extra for you, supporting your immune system’s fight against infections! Along with AMPs, probiotic bacteria can produce chemicals called bacteriocins and microcins. Similar to AMPs, these small molecules work to kill dangerous bacteria before they can cause harm. Good bacteria assigned with this task can be found everywhere – including in your nose, in your GI tract and on your skin. Interestingly, their presence on your skin, in particular, is thought to be very important for your health. Changes in normal levels of bacteria that can produce AMPs, bacteriocins, and microcins on your skin is thought to be a serious risk factor for developing skin Staph infections. Even small populations of Staph bacteria surviving on the skin can cause problems, activating immune cells and leading to itchy, dry skin. In conditions like atopic dermatitis (AD) (eczema), there is a clear association with increased Staphylococcus aureus populations. Unfortunately, the presence of Staph on AD skin makes it susceptible to even more infections. The dryness and scratching caused by eczema or AD damages skin, opening up tiny (or not so tiny wounds) that can let bad bacteria in! Most bacteria thrive best at neutral pH levels – not too high, not too low. For this reason the parts of your body exposed to the outside world, like your skin and gut, have a pretty low pH (much lower than the rest of your body, anyway!). This helps keep bad bacteria from setting up camp! Interestingly, your healthy bacteria play an important role in keeping the pH of these parts of your body low. For example, in your gut, your healthy bacteria produce short-chain fatty acids (SCFAs) as they breakdown carbohydrates in your food. SCFAs are important for keeping your intestines healthy and strong, but that’s not all they do! They also play a part in lowering your gut pH to protect your intestines from infections. After all, SCFAs — short-chain fatty acids — are acids. Just by being in your gut, they lower the pH! 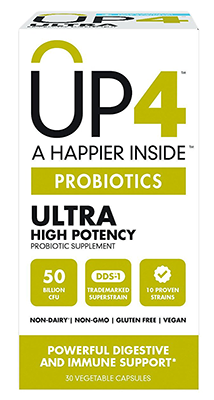 Wait a second, aren’t probiotics also bacteria? How come they don’t die in an acidic environment? Fortunately for us (and them), probiotic bacteria belong to a group of bacterial species that have evolved amazing adaptations that let them survive and thrive in lower pH environments. For example, studies show Lactobacillus species (a type commonly found in your gut) can tolerate low pH environments by managing their own internal and external pH levels such that their little bodies are pH-neutral, even though they are surrounded by acid. They can even use glucose from your diet to build protective molecules that shield them from damage from low pH levels. It’s great news that your good bacteria are smart enough to survive in harsh conditions! The bad news is that a couple bad bacteria can do the similar things. For example, a fairly common stomach bug called Helicobacter pylori (H. pylori, for short) is able to manipulate the pH level of your stomach, increasing it to a more neutral level and making it a great place for bacteria to set up shop and flourish. Once you have this infection, antibiotics are the only proven method for getting rid of it entirely. But, probiotics may be able to speed healing time and prevent further H. pylori issues, perhaps by counteracting H. pylori’s attempts to raise your gut pH! Remember those SCFAs we talked about earlier? They’re back again with more benefits! Those fatty acids also help keep your immune system a lean, mean, bad bacterial killing machine! See, your immune system is primed to kill bacteria — any bacteria it comes across, no questions asked. 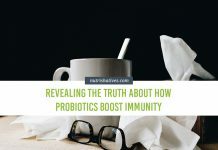 Since probiotics are beneficial bacteria that you actually want in and on your body, it would be a waste of time and energy for your immune cells to track them down and try to attack them. 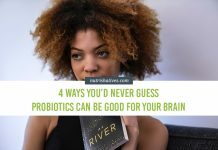 Not to mention, since probiotics help protect against infections all on their own, killing them off would make things worse for your immune system in the long run. Killing off your good bacteria would be totally counterproductive! SCFAs keep such futile attacks from happening. They act as “anti-inflammatory mediators”, calming down immune cells before they can really attack. So, your healthy bacteria, surrounded by clouds of SCFAs are protected from your immune cells vicious attacks. Basically, SCFAs give probiotics a hall pass so they don’t get in trouble with the immune-cell hall monitors! These hall passes not only keep your good bacteria alive and healthy, they make sure that your immune system doesn’t waste precious “manpower” attacking its allies (probiotics). That way you have more immune strength to keep an eye out for the real bacterial hooligans! Ok, now you’ve got some solid information about how probiotics protect against infection! You’re probably wondering how you can get more of these little guys into your life and get your immune system all beefed up. Never fear – Nutrishatives is here! 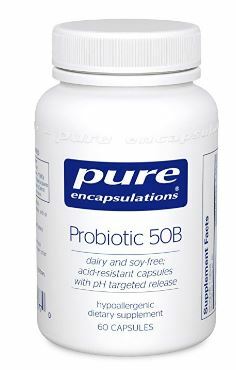 Lucky for you, there are scads of probiotic products out there these days! 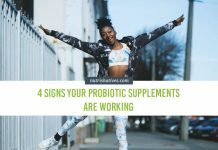 And you have a ton of flexibility in picking a product because there are several strains of probiotics that have been shown to protect against infections (find a great list here)! 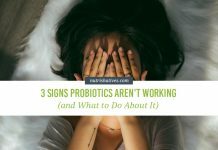 Any probiotic containing any of these bacterial strains should offer you the infection protection we’ve discussed here! Looking for some inspiration before hitting the check-out? Check out these brands below — each of which has multiple (3+) probiotic strains specific for immune health! Two more helpful tips about starting your probiotic regimen, real quick, before you go! 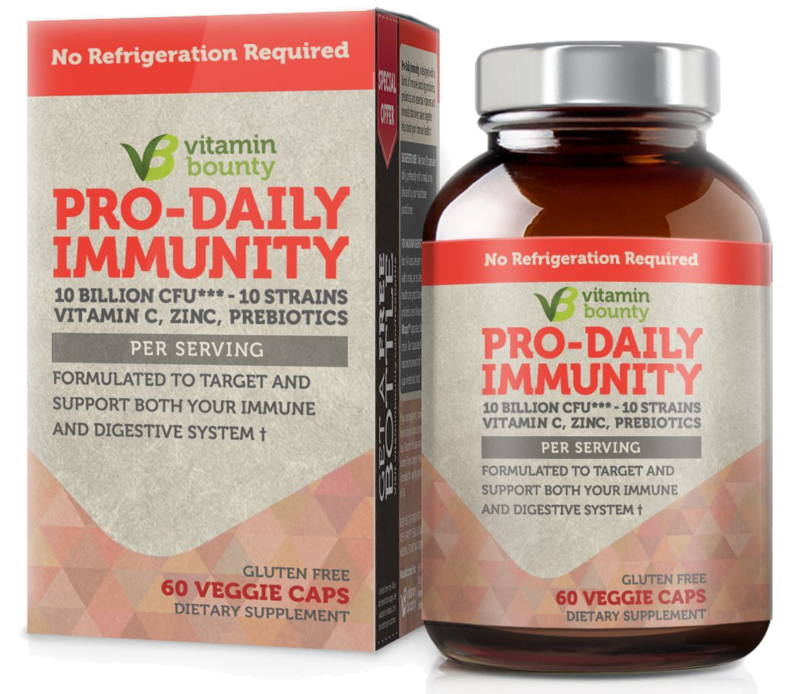 If you’ve never taken a probiotic supplement before, I’d suggest starting with one like Vitamin Bounty because there are fewer bacteria in each pill. (Don’t worry, there are still 10 billion). This is just because picking one of the higher count options may cause you some GI discomfort. If you introduce these good bacteria a little at a time, though, you should have no problems! When making your final decision on which brand is right for you, don’t forget that, just like with any supplement, most of the probiotics you can get without a prescription are not regulated by the FDA. It is a good idea to find ones that are verified by an independent third party, if you’re able, to make sure your probiotic contains exactly what it says it does. That is a lot of exciting information! It really, really looks like regularly replenishing your gut bacteria can seriously help prepare your body to fight off infections. But, I do have just a short word of caution. 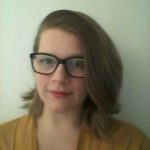 While there is a lot of promising information here about how probiotics fight infection, this is still a growing research area. Scientists are still learning about these little bugs, so what we know now is somewhat limited. There may be interactions we don’t know about yet that may totally change how we think about probiotics and infections. Someday, everything presented here might look like silly Kindergarten stuff! Some of it might even turn out to be wrong! The good news is, we probably won’t have to wait long to find out! Many scientists are touting the microbiota as the new frontier in medicine, and research in this field is absolutely exploding. Can probiotics fight against infections? You betcha! These little bugs work for you in many ways to protect the homefront (your body) from dangerous invaders. Take care of your little buggie buddies and they’ll take care of you! 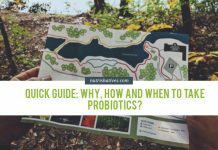 Want to delve into probiotics in more detail? Click HERE to subscribe and catch every article in our ongoing probiotic series! Next articleDo Probiotics Help You Lose Weight? Science Says They Can! Thank you for your kind comment, Jamie!